Not too much happening this week. It really cooled down a lot - yesterday we only had a high of 15C. We went this morning to buy J 3 long sleeved tops and a hoodie to go with his uniform - there goes another $150! And he is growing like a weed - we had bought him size small polo shirts the first round, but now we had to buy size medium for the long sleeved tops. I just hope he doesn't grow out of the smalls too fast - he has only worn them for a few weeks! 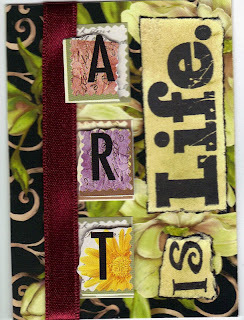 I have been doing more art this week too - playing around in my art journal and making ATCs. I did a swap with a friend from Ustream - Marie. 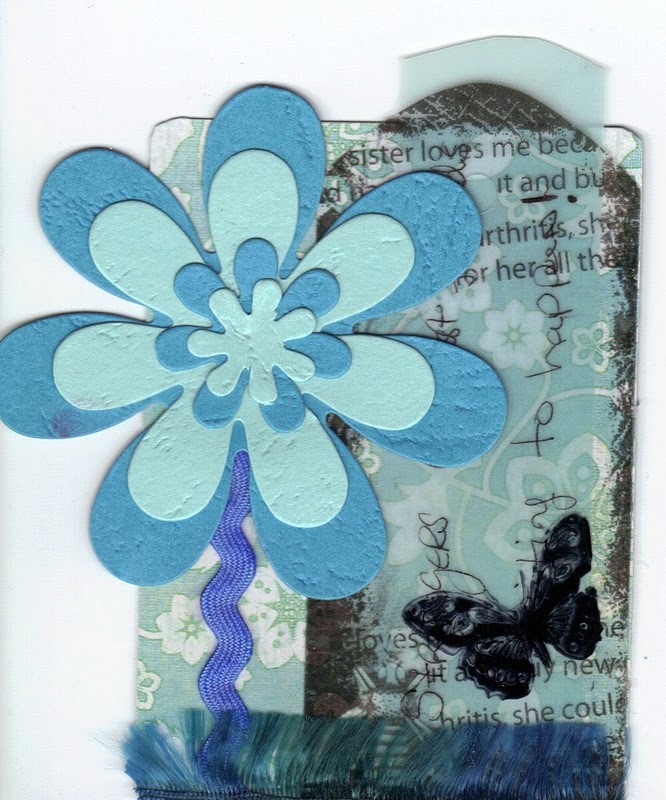 I can show you the ATCs I made her now that she has received them. "Strangers are friends waiting to happen!" Since I have been watching Ustream (I watch others do art live and learn tons of new techniques), I have been burning up my Internet bandwidth. I got an email on Monday to say I had used 90% on my monthly usage and still had 8 days to the month! I phoned them up and added another 40G for $5, but it is prorated for the month, so it only increased my current month by 10G. I have now used 72G of my allowable 75G and have a little over 2 days to go. I need to stay away from Ustream and other high bandwidth sites for a few days - oh the withdrawal symptoms are already started! J's team won their first playoff soccer game on Tuesday. Their next game is this Tuesday, if they win that, they play in the finals on Thursday. They were in 5th place but could go on to win it all! K was away on business in Milwaukee from Sunday til Thursday night. I asked him if he brought me back anything and he said there wasn't any stores nearby, well accept for a Michael's...ACK! The things I could have got him to buy! They are so much cheaper in the states than here. Oh well - maybe next time.